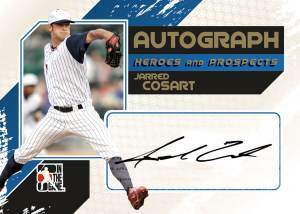 In the Game entered the baseball card market in 2011 with a pair of limited releases that focused exclusively on prospects, autographs and memorabilia cards. 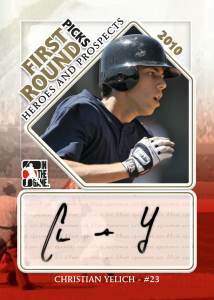 The concept returns with 2012 In the Game Hits Series 2 High Numbers Prospects Update Baseball. 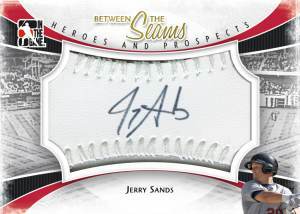 It's a mouthful for a name, but for prospectors and autograph collectors, it's probably the hits that really matter. 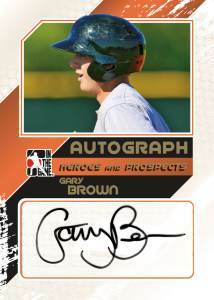 Living up to its name, 2012 In the Game Hits Series 2 High Numbers passes on base cards and goes straight to the signatures and game-used memorabilia. Every single-pack box has five such hits from a large list of insert sets. 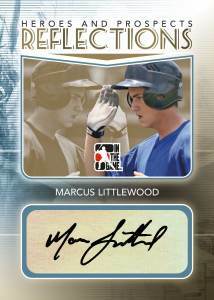 Signature sets include Prospect Autographs, Up Close and Personal, Country of Origin, Lumbergraph, Reflection and First Round Pick. Hard Cuts use cut signatures while Between the Seams uses a baseball leather design. 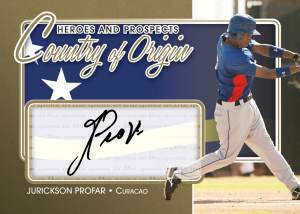 Among the signers for 2012 In the Game Hits Series 2 High Numbers are Jurickson Profar, Jarred Cosart and Christian Yelich. 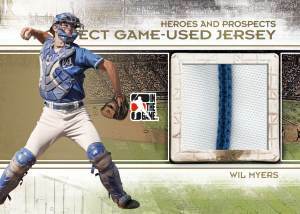 Collectors can also look for game-used jersey cards of prospects like Wil Myers, Ty Linton and Delino DeShields Jr. The reason I love this product is because it is not retail. It is a product that is produced in low amounts and giving quality product. I haven’t been able to open a box, but what I have bought it is a good card set.